TheBlueGuerilla: Another D-Day For Mike Hancock MP. Hancock's main excuse over the past few weeks has been that he's to unwell to defend himself. However, that didn't stop Portsmouth South Independent MP Mike Hancock asking David Cameron a question at PMQ's yesterday or accusing the M.O.D. Of "incompetence" on BBC South Today last night. Today, at 11am a committee at Portsmouth City Council will meet and decide whether or not to defer an investigation into Mike's behaviour towards a vulnerable constituent. It's argued that such an investigation could prejudice a separate High Court action. tbg thinks Mike could be playing for time so as he can re-stand for his Fratton seat next May rather than face the embarrassment of being blocked from standing again for the Liberal Democrats, whom locally at least, are still backing him. First of all, sort your grammar out, it's appalling. Second, the man had a quadruple heart by-pass. It takes a long time to get better and if you've ever experienced it or know someone who has there are good weeks and bad weeks. It's not like a broken bone that steadily gets better. Thank God he was speaking up for Portsmouth - Penny Mordaunt did absolutely nothing in PMQs yesterday or in the statement. If she had any backbone she would resign her PPS position to the Minister (who is responsible for the job losses) and speak up for Portsmouth. If he is not up to it then he should not be traveling to London and engaging in a stressful envioronment like the commons and touring TV studios. Also I think it is a bit rich the man getting angry about the dock yards decision when he was more than happy to undermine Portsmouth and the UK's national security by employing a Russian spy in his office. Please go back and re-read what I said. There are good weeks and bad weeks. It is a good thing he was able to come up and speak on behalf of workers in Portsmouth - something Penny Mordaunt DID NOT DO. Where was she? What was she doing? I'll tell you what - she was supporting the man who is responsible for these job losses. How Lib Dem of you to deflect attention away from your man and away from the whole point of the article by going on about the dock yard decision. As important as that issue is that is not the point of the article so don't try and change the subject to one you and the other Lib Dems in Portsmouth feel comfortable with. The fact is the Lib Dems are acting yet again in a discraceful maner over this whole affair. It is clear that they have a very poor record when it comes to following up complaints of sexual harisment against women always taking the side of the accused. No wonder the Lib Dems have a problem with women! As he is clearly having "a good week" perhaps he could find the time to pop down to the town hall or court room and submit a statment or two? There comes a point no matter how long you wish to draw it out where he will have to answer the aligations but I hope for the sake of the woman involved that it does not carry on for much longer. It seems her suffering and pain are of no conseqence to the Lib Dem's in Portsmouth. The entire point of this story seems to be to deflect attention away from the fact that PENNY MORDAUNT DID NOTHING TO HELP PORTSMOUTH while at least Mike spoke up to help the workforce at the dockyard. Even Caroline Dinenage spoke up for her constituents. Although I suppose it wouldn't be fair to expect Penny to give up her brand new political career as bag carrier to the Defence secretary just to support a few inconvenient constituents. "Although I suppose it wouldn't be fair to expect Penny to give up her brand new political career as bag carrier to the Defence secretary just to support a few inconvenient constituents." Unlike the bastions of integrity that are the Lib Dems. They have never sold out on anything they supposedly stand for to gain office and perks have they? Yet more Lib Dem hypocrisy! 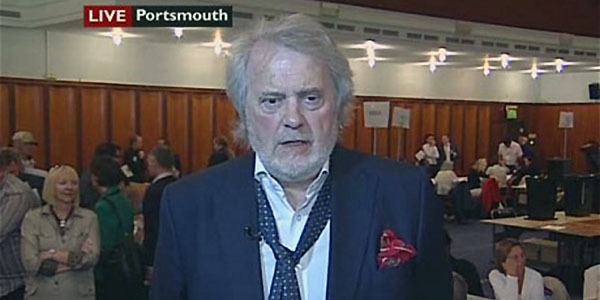 Do we know the name yet of the second Portsmouth Lib Dem who is now facing an internal inquiry for sexual harrassment? You have one anonymous Lib Dem commenter here who seems very upset about something; could it be him? Yes. Its David Stephen Butler. The story has been around for a while. Was a Rev at a local church in Southsea last I heard. Was also a very dodgy lecturer at South Downs College. Sacked for grooming a teenage boy I heard. I don't know why you're assuming I'm a man to be quite honest. Anyway glad Anon at 7.25 admits Penny Mordaunt sold out though. She's a disgrace. I thought all the women had left the Lib Dems (apart from the ones who owe their council seats to Hancock) because of the endemic sexual harrassment. Clearly I was wrong. I'll take that as an apology!